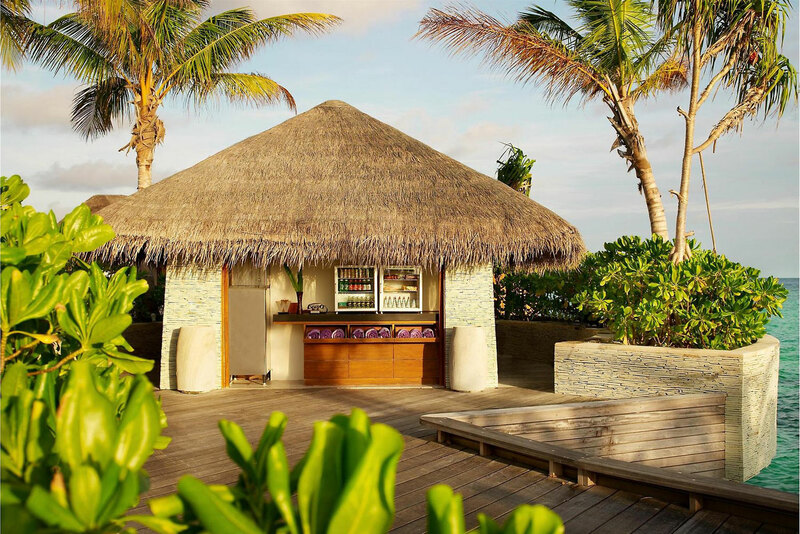 Scattered around W Hotels' flagship retreat in the Maldives, guests can help themselves to ‘Sweet Spots’. As in, little huts or alcoves stocked full of complimentary relaxation essentials, including ice cream, soft drinks, towels and of course, sunscreen. That certainly is a deal sweetener. Launched at the newly-opened Aloft Manhattan Downtown in New York City’s Financial, guests can simply text an emoji of what they want to the hotel’s front desk and within minutes, the delivery is made to their room. The Aloft TiGi Emoji Room Service Menu includes specialty kits, such as ‘The Hangover’ (two bottles of water, painkillers and two bananas), and ‘The Munchies’ (Coca-Cola, Doritos chips, Snickers bar and a chocolate brownie) and ‘The Re:Fresh’ (toothpaste, toothbrush, razor, shaving cream and deodorant), which each require a sequence of emojis to be texted with your room number in order to be delivered, starting at $10. The Gainsborough Bath Spa is the only hotel in the UK to offer its guests’ exclusive access to Bath’s famed natural thermal waters in its own luxurious spa. An experience that takes guests on a ritualised self-guided tour in a modern day Roman Bath circuit, involving personalised aromatherapy, natural thermal pools, saunas, a steam room and an ice alcove. There is, of course, a whole menu of treatments, facials and massages, too. There’s something enduringly romantic about snuggling up with your someone special in front of a delicious wood-burning fireplace. Taking that experience to the next level is the Royalton New York’s Fireplace Concierge service. Developed in partnership with Brooklyn-based “wood sommelier” (who knew that’s a thing?!) Ted Whitehead, the hotel not only offers to alight the fireplace for guests, but enhance the experience with Fireplace Sachets. Packaged in fireplace-ready, hand-silk-screened jute sacks, the sachets are placed on top of any existing logs to release one of five aromas available - oak, pecan, maple, hickory or apple. There’s even a menu of small plates and craft cocktails available to complement each scent. 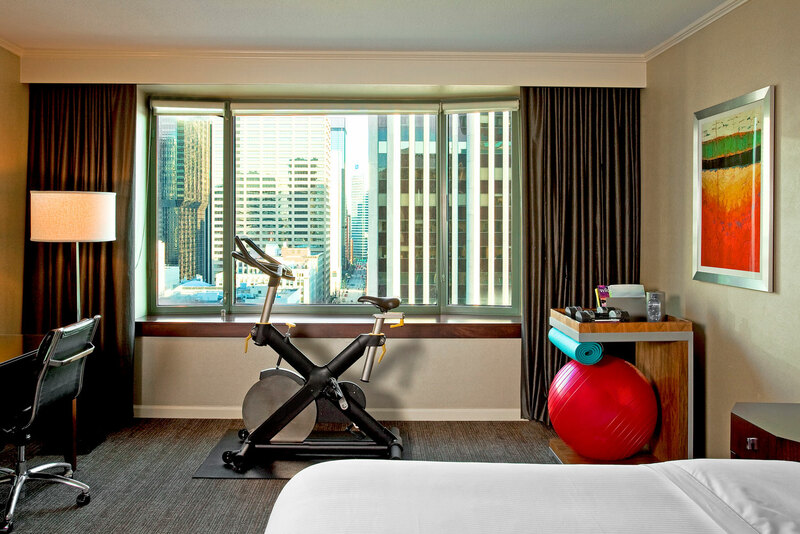 To date, there are 80 Westin properties across the world that offer WestinWORKOUT rooms. That is, rooms that come equipped with their own treadmill or stationary bike, along with weights, resistance bands, stability balls, fitness DVDs and in-room workouts designed by fitness experts so you can maintain your daily exercise routine in the privacy of your own room. And at all Westin properties, there’s now New Balance Gear Lending, which allows guests to rent workout gear, sneakers and a new pair of socks for $5, then leave them in a bag in their room to be laundered. There’s something enduringly romantic about snuggling up with your someone special in front of a delicious wood-burning fireplace. 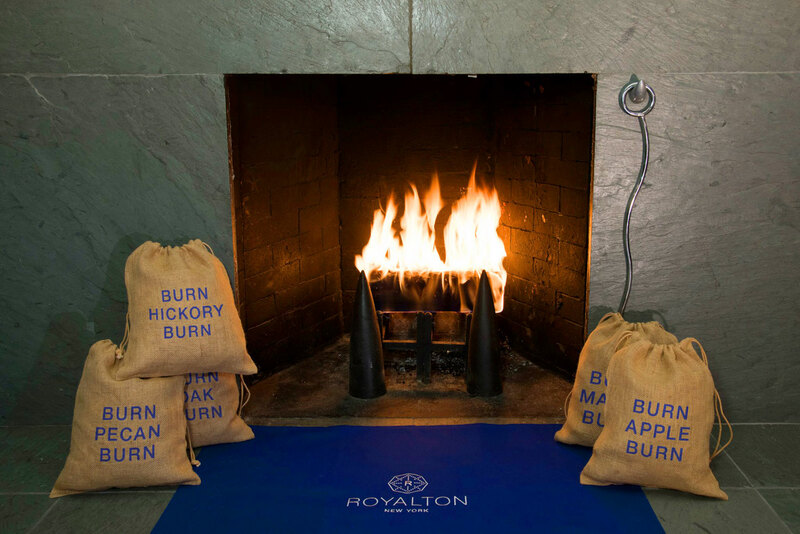 Taking that experience to the next level is the Royalton New York’s Fireplace Concierge service. Developed in partnership with Brooklyn-based “wood sommelier” (who knew that’s a thing?!) Ted Whitehead, the hotel not only offers to alight the fireplace for guests, but enhance the experience with Fireplace Sachets. Packaged in fireplace-ready, hand-silk-screened jute sacks, the sachets are placed on top of any existing logs to release one of five aromas available – oak, pecan, maple, hickory or apple. There’s even a menu of small plates and craft cocktails available to complement each scent. 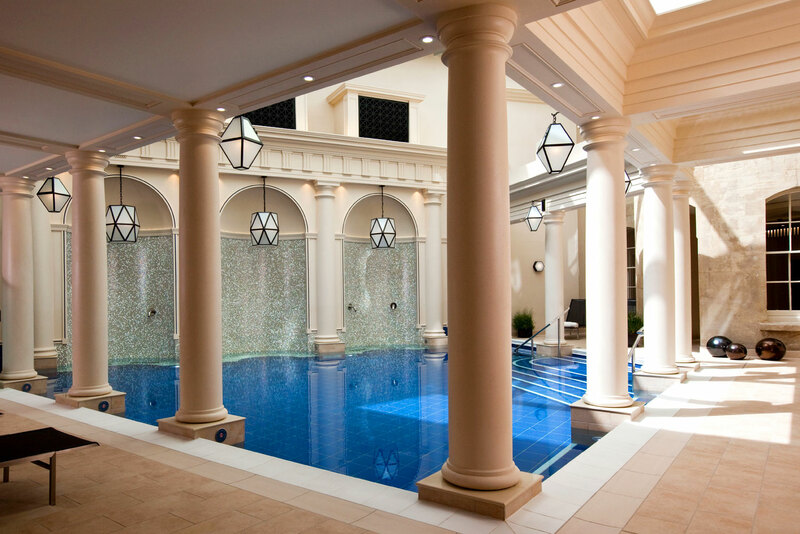 The Gainsborough Bath Spa is the only hotel in the UK to offer its guests’ exclusive access to Bath’s famed natural thermal waters in its own luxurious spa. An experience that takes guests on a ritualised self-guided tour in a modern day Roman Bath circuit, involving personalised aromatherapy, natural thermal pools, saunas, a steam room and an ice alcove. There is, of course, a whole menu of treatments, facials and massages, too. Scattered around W Hotels’ flagship retreat in the Maldives, guests can help themselves to ‘Sweet Spots’. As in, little huts or alcoves stocked full of complimentary relaxation essentials, including ice cream, soft drinks, towels and of course, sunscreen. That certainly is a deal sweetener. Launched at the newly-opened Aloft Manhattan Downtown in New York City’s Financial, guests can simply text an emoji of what they want to the hotel’s front desk and within minutes, the delivery is made to their room. The Aloft TiGi Emoji Room Service Menu includes specialty kits, such as ‘The Hangover’ (two bottles of water, painkillers and two bananas), and ‘The Munchies’ (Coca-Cola, Doritos chips, Snickers bar and a chocolate brownie) and ‘The Re:Fresh’ (toothpaste, toothbrush, razor, shaving cream and deodorant), which each require a sequence of emojis to be texted with your room number in order to be delivered, starting at $10. To date, there are 80 Westin properties across the world that offer WestinWORKOUT rooms. That is, rooms that come equipped with their own treadmill or stationary bike, along with weights, resistance bands, stability balls, fitness DVDs and in-room workouts designed by fitness experts so you can maintain your daily exercise routine in the privacy of your own room. And at all Westin properties, there’s now New Balance Gear Lending, which allows guests to rent workout gear, sneakers and a new pair of socks for $5, then leave them in a bag in their room to be laundered. If ever you’ve struggled to get some quality shut-eye on your travels, this is for you. This Windy City hotel promises more snooze-inducing services on their specially created ‘Sleep Menu’, than you can count sheep. With a comprehensive pillow menu to suit your napping needs (including relaxation, romance and snore-no-more), there’s also an array of herbal elixirs and nightcaps, hydrating nighttime beauty treatments, various “sleep amenities” such as a plush toy and eye mask, aromatherapy turndown service and sound technology to help you slumber.